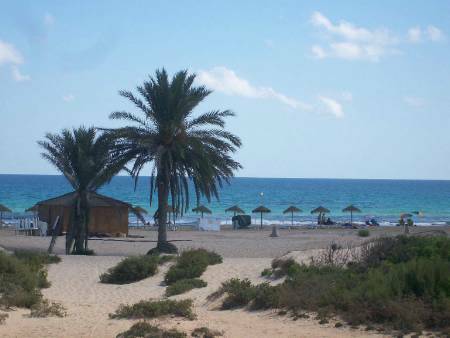 Gran Alacant beach is one of the best beaches in the Costa Blanca area with its clean, soft sand. It often wins the blue ribbon award. It has four beach bars if you need a nice cold beer or some food. With in half an hour drive in most directions there are also plenty of golf courses. 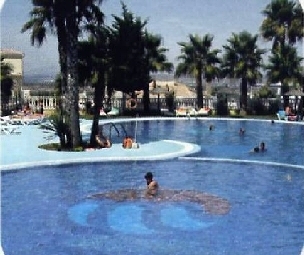 Water parks, Elche Safari park & horse riding are just some of the activities that are close by. A short boat trip away is the island of Tabarca where you can spend the day eating, drinking & snorkeling the clear crystal waters. For those who want the noisy crowds, fun & late night discos, the resort of Benidorm is less than an hour away by car. Also has a theme park, a safari park with a small water park as well, large water park & Benidorm Palace for good international entertainment. 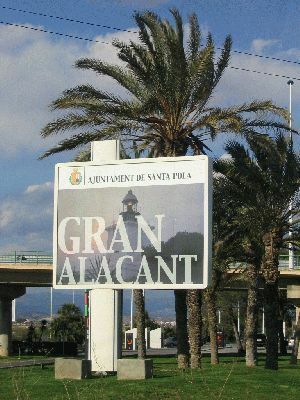 Gran Alacant can offer you the best of both worlds. Those looking for a relaxing holiday lounging by the pool, a bit of tennis for exercise and a quiet meal in the near by restaurant are well catered for. There is however plenty to do for those looking for something a bit more active or fun. The excellent motorway network ensures that near by surrounding areas and attractions are not sorrowfully missed. There is so much to do! A nifty 40 minutes away by car (just outside of Benidorm) is Terra Mitica, a theme park to be enjoyed by both adults and kids alike. In Benidorm, nestling in one of its hills is the superb fun packed water park Aqualandia which is next to Mundomar the sea life centre. Amidst all the facilities and services in the area you will find; supermarkets, banks (with cash dispensers), Video/DVD rental, car rental, petrol station and even a local street market. And although we hope you will not need them, you will find doctors surgery, pharmacy and opticians. A stones’ throw from Gran Alacant, less than a mile down the hill, is the above mentioned Los Arenales del Sol beach. The beach is never empty. Even in the ‘our’ winter you find people running or walking by the shore. And although the beach is prepared for the Easter Break it is in the height of summer that all types of water sports become available. 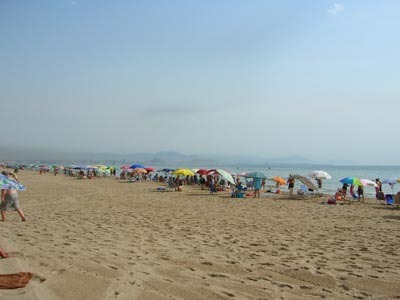 If your priority is a healthy tan, then a few trips to Los Arenales beach is definitely a must! Worthy of mention is the fact that the short distance to the airport makes Gran Alacant a specifically good holiday base. You can be in your holiday rental accommodation in less than 15 mins from landing! And I hear you say – “Aircraft noise?” – “No problemo – Gran Alacant is not on the flight path! Gran Alacant must be the best location for a family holiday, centrally located to all golf courses, theme & water parks, and the cosmopolitan city of Alicante. It’s also right beside some of the best beaches in the costas. 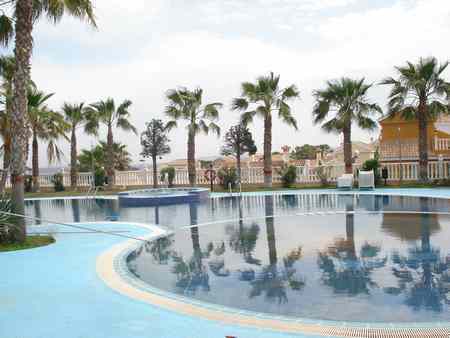 But best of all its only five minuets drive from Alicante Airport. 2. Aqualandia,.....one of Europe’s largest water parks, just 45 minutes drive by car. 3. Mundomar,.....is like sea-world with tropical animals and gardens. Right next to Aqualandi. The city of Alicante is the capital of its own province and it is also the second most important city in the Valencia district of Spain. Generating a major tourist attraction with its miles of sandy beaches. However, Alicante has created more interest since transforming itself from a rundown old town and into a stylish cosmopolitan city, with its new harbour complex, clean beaches, outstanding museums, exceptional shops and buzzing nightlife. 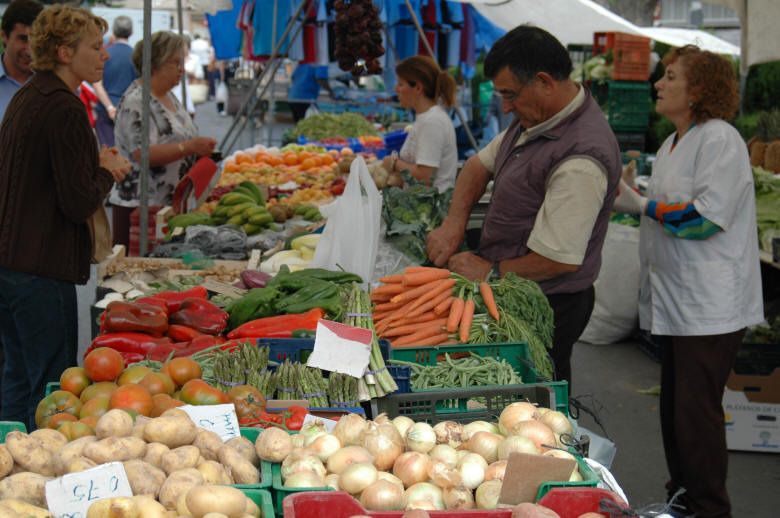 The city of Alicante is the origin of many tourists´ journeys each year. This is a city well known for its terrific warm weather, its long sandy beaches, and its magnificent boulevard surrounded all along by splendid palm trees. It even has a gorgeous island nearby, Tabarca, where you can take a trip to from Alicante harbour. Monte Mar Bowls Club is located at Gran Alicant, just south of Alicante City. The club is part of a sports & social complex. The Club is open seven days a week and a part of the Complex includes restaurants, bars, swimming pool, and bowling green. The carpeted bowling green consists of six rinks that have been laid to a very high standard. 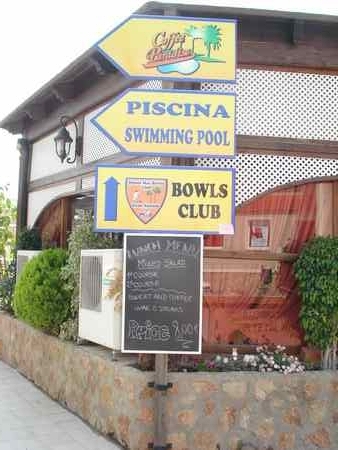 This club is a member of The Costa Blanca Bowling Association (CBBA) and consequently competes in all inter-club competitions throughout the year. The weekly Club "Roll Up" days will give the bowlers, new and experienced, practice whilst competing and a chance to meet other members and friends.